Naomi Stonberg is a partner at Brody, Hardoon, Perkins and Kesten, LLP. She has specialized in representing school systems in public sector management labor relations, employment law, municipal law and school law for thirty-eight years. Ms. Stonberg joined BHPK in 2011 to head the school law practice. Ms. Stonberg’s practice areas include representing school systems in employment matters including negotiations and collective bargaining, hiring, disciplining, and discharging employees, discrimination and harassment matters, and representing management in teacher and student disciplinary hearings. She has extensive experience representing clients in arbitration hearings and before the Division of Labor Relations and the Massachusetts Commission Against Discrimination. Ms. Stonberg interprets federal and state statutes and regulations involving educational issues and advises clients on matters including the development of school policies and handbooks involving personnel and students. Before joining BHPK, Ms. Stonberg was in private practice for twenty-five years. Prior to that, she was a partner with the Boston firm of Holland, Crowe and Drachman, specializing in management labor relations, employment, municipal law and school law. Ms. Stonberg was previously an associate with the firm Holtz and Drachman/Allan W. Drachman, P.C., specializing in labor relations law, discrimination law, and representing management clients in the public and private sectors. In addition, she has served as labor relations counsel to School Committees, Cities and Towns – large, medium and small – in New England. 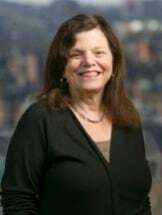 Ms. Stonberg was the Chief negotiator and labor relations counsel of a large state university system and general counsel to Massachusetts School Committees and municipal bodies. Ms. Stonberg conducts workshops to bring school districts up to date regarding the Education Reform Act, the Open Meeting Law, the Public Records Law, the State Ethics Law, and collective bargaining. She also provides training to administrators involving employee evaluations and investigations. Ms. Stonberg has been active in the following organizations as: a panelist for the Massachusetts Continuing Legal Education School Law Update sessions (1996-2009) and the National School Boards Association; a panelist and moderator at the Annual Joint Conference of the Massachusetts Association of School Committees / Massachusetts Association of School Superintendents; an instructor, National Association of School Board Attorneys; a participant, Massachusetts and Boston Bar Association Conferences, Massachusetts Teachers’ Association Workshop on “A View From the Other Side of the Bargaining Table;” New England Consortium of State Labor Relations Agencies (1995 and 2004); Simmons College Graduates School of Management Alumnae Association Conference on Professional Development; and an instructor, Simmons College workshop on the Legal Issues Facing Teachers (2011). Ms. Stonberg has published: a chapter entitled, “Employment Issues Involving Teachers,” School Law in Massachusetts (MCLE, Inc. 2003, updated 2012); “Tenure Reform: Has Anything Really Changed?” Termination of School Employees: Legal Issues and Techniques, National School Board Association, Council of School Attorneys, 1997; “A New Way to Negotiations,” Journal of Law & Education Responses, Ellen M. Suarez and Naomi R. Stonberg (1994); “Preparation For Collective Bargaining in Higher Education,” Collective Bargaining in Higher Education: the State of the Art, College and University Personnel Association (1984); and “Impact of Public Sector Unions on the Exercise of First Amendment Rights,” Inquiry and Analysis of the National School Boards Association, Council of School Attorneys, (lead article), 1984.